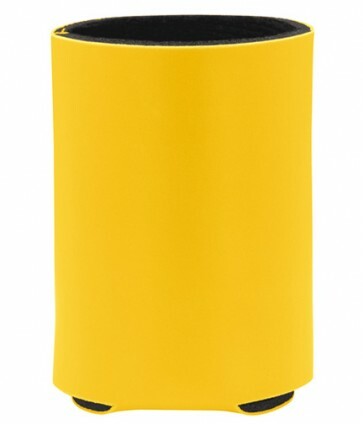 Stand out with the Deluxe Collapsible Koozie® with a vinyl exterior that is leather like, soft to the touch and durable. Comes with a high detail imprint and 8 flashy color to choose from. Collapses easily so you can put in your pocket or easy storage. If you are looking for an item that looks apart and is made from high quality materials these are for you. Made with the the highest quality material this koozie is impressive!